When Erathia’s King Gryphonheart is murdered by traitors he is resurrected as an undead warlord who leads a ruthless invasion of his former Kingdom. Little resistance is met until his daughter Catherine, Queen of Enroth, returns to her homeland commanding an army of elite Enrothian warriors. Meanwhile the Necromancers raise large hordes of undead and advance towards the Erathian capitol. Queen Catherine receives the aid of her father’s survived generals and embarks on a crusade to reclaim her lost land. r there surveys or viruzes or any password?//? Sorry your on the wrong website if you are searching for one here. 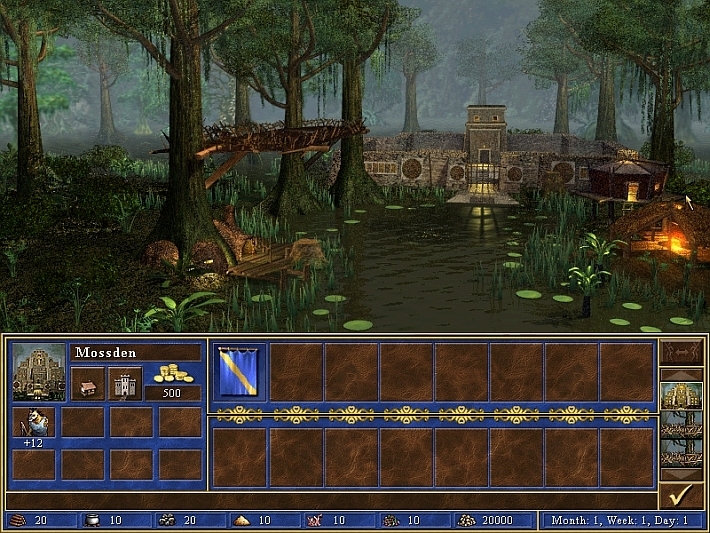 I have never been able to play any version of HoMM 3 without the CD. Can your version actually be played without one? Not sure about your system. 🙁 please make sure you meet the graphic settings or try to lower it. I should have all the requirements but when i launch the game from the quicklaunch of my desktop it …. does nothing. any tips maybe? working on a windows 10 laptop. Have you installed all the needed software for the game like directx, visual c++ and .net framework? you can find the link on our FAQs page please check. Win 7 is famous for breaking games, make sure it’s NOT installed into a \programs\ directory. Guys need help also. Mine shuts down after second at startup. While I can play HD version with no problem. have you tried installing redist software from micorosoft? Please check our FAQs page for more info. Well, i kind of can´t even download it, when i click on it, nothing happens, when i open it in new tab, only its adress but nothing actually happens, any idea how to help me with that? For everybody who has problems making the game work please read our FAQs Page to know more about it. Coz sometimes you just need to install a software form Microsoft to make every game work. Simon, check your downloads in google chrome maybe download began? Very good. Installing the patch could enable single mode. It is possible to publish there HEROES CHRONICLES: ALL CHAPTERS ? Thank you so much. I suppose I will lose a few hours tonight. It is possible to add Heroes Chronicles – All Chapters? Not for us to answer 🙁 any body? Hey, how I can change language? Could you help me with this? What language you plan to use? wasn’t there a 3rd expansion as well? wrath of the gods, or something like that. In the Wake of Gods 3.58F is a free fan-made expansion and you may install it over this one, but the game doesn’t feel the same with it! How can i channge language to polish ? Could you upload Screamer? Not 2, the original Screamer on GOG. com. I can’t download it for my country Pakistan and as you can sea this site asks me for the sum of 2 and 7, you see me in Pakistan IP and think i am stupid thats why ask this kind of racist question>? “Sum” is maths, it means “add together”. So you must add the numbers 2 and 7 and and put the answer in the box. After a few turns i can’t move anymore.. what do i do/ how can i fix this? Not sure about the problem you are facing but have you tried searching the internet for the solution? can i transfer the file to my android phone and play with the android with the vcmi app?? Really love your site, thank you so much for all your hard work! 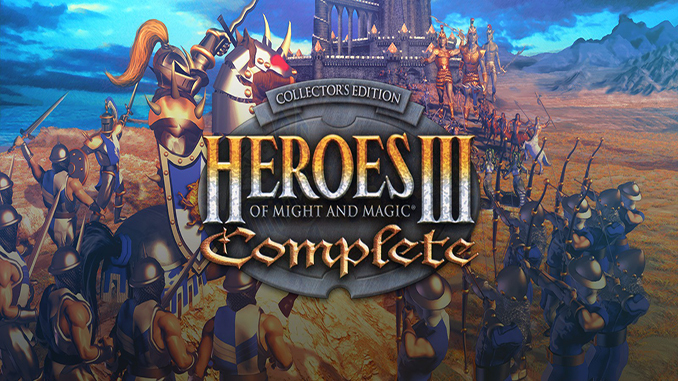 Could you please upload Heroes of Might and Magic 3 HD? I’d really love to try that version. i have a windows 10, 8gb of DDR4 solid grafic card, several times i reinstalled the game, applied the patch, each time on startup, i get the poput window that says Heroes has stopped working. The game doesnt even start. Anyone could tell me what to do? Have you installed the software’s needed like .net framework on your system? you can find link in our FAQs page. help!.. help!.. after running installaton setup, that green bar, that shows you how far it has gotten with the installation.. yeah it is not moving for hours! any ideas? how long does it normally take for the DL to complete? It depends on the seeders and your connection. You are very funny (jackass) how can they scam you if they are not asking for money or anything? Tested this game and it works fine without any problems. Kids these days if they do not know what to do they call you scam. admin, did this version got all the campaign scenario ? i download other version and it has bigger size but can only play 3 campaign scenario… ._. It says i need to have cd to play it what should i do? Please make sure to run the installer as an administrator 🙁 That’s often the issue when installing without he admin rights. You might also try installing the game not on the program files or into a different drive/hard disk. working on a Windows 10 laptop, should have all the muscle to make this work right? I played the game from a disk before but trying to launch from this download doesn’t work…. i double tap on the Quicklunch but then nothing happens. downloaded all the software you recommended and yet…. any ideas? Great website man, thanks for all your work. Please read our FAQ’s page for details. I’m having a problem with all HoMM games, SimCity, and probably some others. Running Windows 10 on a Tablet/Keyboard combo. The game does work, but approximately 1/3 of the right half of the screen is missing, viewing the desktop instead. Tried suggestions, manual and auto compatibility (including DPI scaling). Really want to play this. HoMM IV does work, but only for in game option, no full screen. Any suggestions? We are so sorry we do not have any idea on how to make it work with a tablet/keyboard or mobile. Have you tried tweaking the game resolution settings? HiHi! I just downloaded everything including the patch. However, when i launch the game, my screen on my monitor is just black although there’s sound and music to the game. What am i suppose to do?